In an interview Krist Novoselic did for a story Rolling Stone is running about In Utero, the bass player speaks about the group’s creative process. “There were songs that Kurt would woodshed,” Novoselic said. “He would come in with it, and we would work it out, build it up. There were songs that were made up on the spot, coming out of jams, which took a few rehearsals to come together. But they would find form. 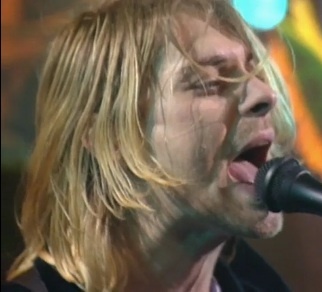 That was another thing with Kurt – he could have a riff, but then he was so good at vocal phrasing. He would usually write the lyrics at the last minute. But he was so good at vocal phrasing [in rehearsals]. And voilà – you have a song.